Important Flight Etiquettes You Probably Didn’t Know About! 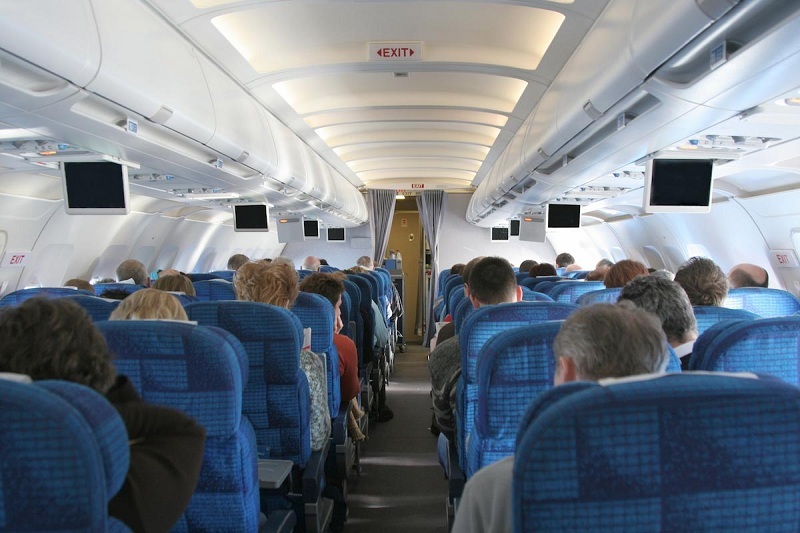 Home Travel News | Travel Guides Important Flight Etiquettes You Probably Didn’t Know About! What’s the big deal about flight etiquettes, you ask? Well, plenty actually. You may be breaking some unspoken but very important air passenger etiquettes unknowingly which will invariably cause a lot of inconvenience to fellow travelers. Undoubtedly you’ve heard about certain airplane etiquette funny (although unfortunate) incidents. These arise when we don’t follow the golden and unspoken flight etiquettes. Although unwittingly, we make the journey an uncomfortable one for not just ourselves but also our co-passengers. In-flight manners, or flight etiquettes, are what make the difference between a stress-free and a stressful journey. So follow a few basic flight etiquette tips and make your journey an incredibly easy one. Read on to know what some of these are and improve the quality of your air travel henceforth. Flight etiquettes are among the next most important things after learning how to book cheap flights. The rules of airplane travel may be simple but they can prove to be very vital. We’ve listed some of the basic flight rules for passengers to follow if they wish to enjoy an easy flight journey. Follow these even when traveling on last minute flights and not just when taking a planned vacation. This is especially when it comes to airplane etiquette middle seat-wise. If you happen to be seated in the highly unwanted middle seat, the least you can do is monopolize both the armrests. How? It’s quite simple actually. The corner seats already have an armrest each so it makes sense that the passengers in the middle use both the armrests on the inside. But good luck explaining that to a grumpy co-passenger unwilling to let go of the armrest! One of the worst things you can do is to place your carry-on in an overhead bin that isn’t yours. Apart from being among the worst flight etiquettes, this also makes it inconvenient for other passengers to store their carry-ons. If you hog another’s place, they will have to do the same to someone else. The best passenger etiquette here is to keep your luggage above your own head or under your own seat so that others can do the same. No one likes to keep going around someone else especially on an airplane where there’s already limited space. The best flight etiquettes when dealing with this is to make sure you have what you need on the flight beforehand. While at the airport itself, make sure to put your laptop and other things you may need in the carry-on. This way, you won’t be rummaging through your baggage once on board while everyone else impatiently waits behind you. Airplane seats seem to be shrinking, although not in first or business class flights. But this is a nightmare in economy! When it comes to reclining seats, generally, it’s an unspoken rule that you don’t recline. This is because when you recline, you invariably force the passenger behind you to do the same. If they don’t, you will run the risk of your face being under their nose. Also, they won’t have the freedom to move around much. So if you wish to recline, check with the passenger behind and only then do it. Yes, this is actually a thing. One of the best flight etiquettes you must keep in mind is to have good phone manners. What does this mean? It’s very simple. You need to keep your mobile on vibrate. Also, when speaking on the phone, ensure your conversation is as short as possible since everyone can hear everything you’re saying. So whether it’s Skype or mobile conversation, cut it to a minimum. A large part of flight etiquettes is dealing with window shades the right way. If you are fortunate enough to be seated at a window seat, keep the shades up as your co-passenger may not wish to sit in darkness. Else, you can ask them for their opinion on the matter. If they are okay with whatever you do, feel free to keep the shades down. In the event that you don’t much care about the window, swap seats with them so they can at least enjoy it. Not everyone you meet on the flight will turn out to be a Chatty Cathy. One of the most important rules for traveling on a plane is to avoid bothering a co-passenger who does not wish to speak. Learn to read body language and if they wish to be left alone, oblige them. This is among the most important flight etiquettes ever. When you do speak, keep the conversation light and centered on general topics such as the weather or your destination. Avoid talking about religion, politics, and any such thing that may cause a rift. Whether you’re on domestic travel or going abroad on international flights, this is among the topmost of all flight etiquettes to follow. The minute it’s time to disembark, some passengers tend to rush ahead of the others. This school-bell effect causes unnecessary commotion. Instead, stay calm and deplane in an orderly fashion. Bide your turn and disembark in a peaceful manner sans the pushing and shoving. The flight crew and your fellow passengers will thank you for it. 6 Best Things to Do in Auli for an Exceptional Trip!